Facebook, Twitter, Pinterest, Google Plus, Google Adwords, blogging, video blogging, public speaking, email marketing, SEO….. The list of all of the things you “should” be doing to market your small business goes on and on. And if you’re like most small businesses, your resources are limited and the laundry list of marketing musts is overwhelming. 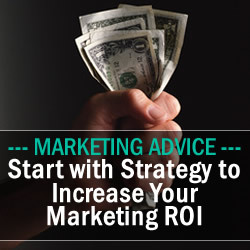 So how do you decide how to best invest those limited marketing resources? In my experience, many small businesses do very little planning and strategizing. Instead, they jump on the latest tactics – do a bunch of things badly at best, and then throw up their hands in frustration, because they don’t know what, if anything, they’re getting for their efforts. I know, because I’ve been there myself. And I’ve thought, there’s got to be a better way, right? Good news, there is! It involves taking a step back, putting aside time to work “on” your business, evaluating your position and your goals, and planning a strategy to get you there. First, start by asking yourself some questions. What is my big goal for the year? This usually involves growth. If so, be specific – how much do you want to grow? (And don’t say “a lot!”) Give a measurable number – either in percentage growth or an actual dollar or customer base figure. Make sure you make a note of where your numbers are today, so you can measure your results. What is my best strategy to achieve that goal? For example, if your goal is to grow your revenues by 25%, there are a number of ways you can do that. You can expand your share of your current market by selling your existing products and services to new customers, you can sell new products and services to your existing customers, you can raise your prices and keep your volume of sales the same, etc. If you understand your strategy, then the appropriate tactics will become more obvious. Who is my ideal client and target market? The more specific you can be about this, the easier it is to reach them. Where does my target market hang out? This question is key. I have a colleague whose target market is engineering firms. Despite the fact that the whole world seems to be on Facebook and Twitter, she doesn’t waste her time there, because her target market – owners of engineering companies, don’t tend to spend time on those platforms. But there is a trade magazine that they all read, and she got herself a column writing for that magazine. Once you answer the questions above, pick 2 -3 marketing tactics that fit with your goals and your target market, come up with a measurable plan, and devote the time and energy to do them really well. It helps to map out what you will do with each tactic each month. If you are writing, create an editorial calendar. It is also crucial to understand what you want to get out of each tactic that you employ. For example, if you invest in a “pay-per-click” campaign, then your goal might be to convert a specific percentage of your clicks into paying customers. Make sure you track whether or not this tactic is profitable for you. If you are posting on Twitter, your goal could be to increase traffic to your blog by X% and add a certain number of subscribers to your email list. If you are clear about your goals for each tactic, and keep track of your results, then you will be able to tweak your strategy as you go forward, and get better and better at reaching your target market both efficiently and effectively. 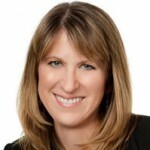 Donna Leyens, MBA, CPC, is co-founder and President of Provendus Group, where she is fulfilling her passion to champion and support entrepreneurs. Her company provides the tools, strategy and support that business owners need to grow, profit, and control their own destiny. Learn more and sign up for weekly business tips at www.ProvendusGroup.com. As the founder of a women’s organization that is dedicated to helping start-up entrepreneurs succeed, Donna’s advice is invaluable. I aim to share this with our 2,000 members! Thanks Donna! Thank you, Tara! Your organization, Believe, Inspire, Grow (B.I.G.) is an amazing resource for women business owners, providing so much valuable support, as well as amazing business information. Excellent point about tracking Donna. No entrepreneur has time to waste on things that don’t clearly convert! And making sure you’re getting the numbers you need to make any effort worthwhile is key. Thank you for highlighting that point, Annette. Your time and resources are so valuable, and you can truly maximize your results by only focusing on those areas that bring you a good return, and eliminating the ones that don’t. I definitely fall into the “do a few things and see what happens” group, so I found this clear insight really direct and helpful. Hi Tova, I think this is so common among small business owners. I was guilty of it myself for so long. But when you start to evaluate what you’re doing and looking at the numbers (and I know we’re not all “numbers people”), it can be really eye opening. You had me from the first sentence–I feel pulled in so many directions when it comes to marketing, but this article was very eye-opening! Thank you and congrats on the publication! Hi Meredith, thanks so much for your comment! I hope that this helps you feel more focused, and also less guilty when you don’t do every social media and online marketing tool that exists out there! (It really can be very freeing to give yourself permission to only spend your time in the areas that bring you the best return). Good luck! Great article! As someone who started off trying everything and doing badly… this definitely resonated. I’ve learned to target a few marketing mediums that I like (and am still learning to master) and am trying my best to track! Maybe your next article can be about tricks and tools for gathering metrics, tracking and how best to use that info! Thank you for sharing that, Caroline! And you bring up a really good point, that tracking and understanding the metrics can also be overwhelming. If you don’t have expertise in that area (and most of us don’t), I find it works best to start small and simple – don’t try to understand it all at once. Pick one thing you would like to learn how to do or track, and then google “how to….” and learn that one thing. I am far from an expert in this area, but you’ve inspired me to do some research and share it! Donna, thank you so much for this article! It is so timely. In my upcoming mastermind, I will be walking my clients through developing a way track ROI on advertising. So many of us *know* we need to be tracking ROI, but don’t know where to start. I intend to share your article with them. Thank you, Sabrina. I am sure that your tracking ROI topic is going to make a huge difference for your clients. I think they might be surprised by some things they are spending money on that aren’t giving them a return at all, and they will be able to identify other areas where they can double down for a greater return! I would love to hear how it goes! Straightforward, invaluable advice for all small business owners, or those interested in starting a small business. Thanks for the article!